20 Beautiful Saris Below 1,000 Rupees Or Less! Looking for a saree below 1000 rupees? 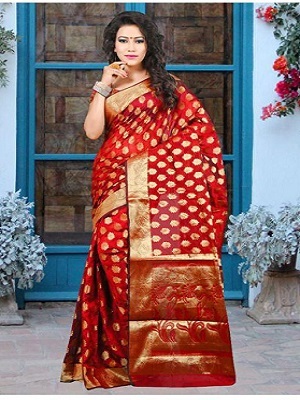 Well, we have made a list of beautiful sarees under 1000 rupees just for you. 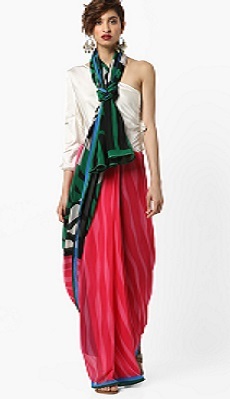 This sari comes with sophistication written all over it. We love the contrasting yellow hints. Plus, we can’t wait to get our hands on the matching attached blouse piece to get a divine blouse stitched! Price: Rs 624. Buy it here. This gorgeous green georgette sari with its delicate print on the edge of the pallu is proof that the classics win, every single time. Price: Rs 624. Buy it here. The rich red hues and the banarsi silk - need we say more to convince you to buy this stunning silk-finish sari right now? Price: Rs 799. Buy it here. It’s hard to explain how much we love the classic paisley print - and when we find it in the prettiest pastel hues, it’s love at first sight and forever! 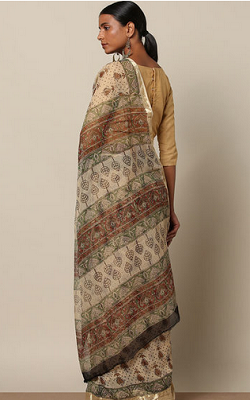 Pick this all-over print cotton sari now - because if you don’t, we sure will! Price: Rs 999. Buy it here. A gold-edged blue sari with an all-over gorgeous jacquard weave - and with that beautiful stitched-on embroidered border on the pallu, this sari is just too tempting to resist! Price: Rs 499. Buy it here. We love the softness of crepe and the ever-flattering way it drapes on one’s figure. Plus, that all-over quintessentially Indian print makes this one such an amazing choice to add a dash of desi to your everyday style! Price: Rs 806. Buy it here. Have a soft corner for ethnic borders and multiple colors? 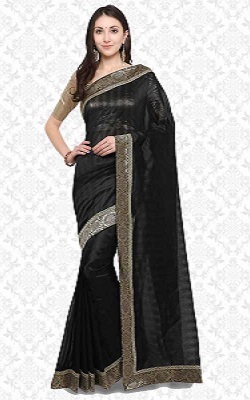 Well, here is a saree for your shudh (pure) desi look! Price: Rs 1,000. Buy it here. Another red sari that we just can’t resist. Simple though this one looks, it’s also a classic colour that you can wear even to a party! Price: Rs 564. Buy it here. 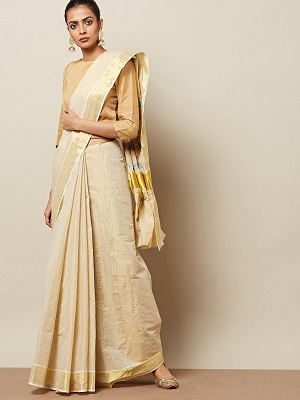 A classic cotton sari for the girl who likes things simple yet stylish. The traditional print and the soft fabric come together to make this one a great pick for when you’re looking for some everyday ethnic flavour. Price: Rs 920. Buy it here\. 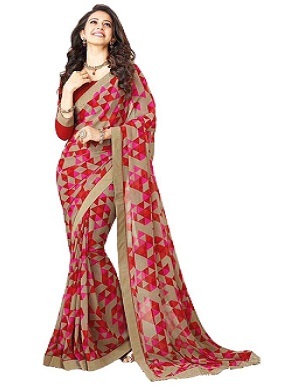 We love the freshness and lightness of this fashionista saree - the colors and draping style come together surprisingly well to make for one helluva pretty package. Price: Rs 583. Buy it here. The combo of multiple colors can bring freshness and chirpiness to any outfit. 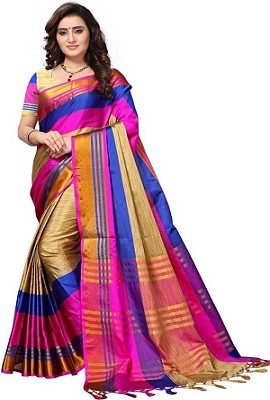 This multicolour saree looks really pretty. Price: Rs 599. Buy it here. 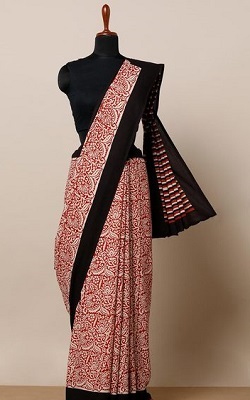 A half-and-half art silk sari with the most delicious off white and red pallu… Can you believe its cost? Add it to your cart already! Price: Rs 799. Buy it here. 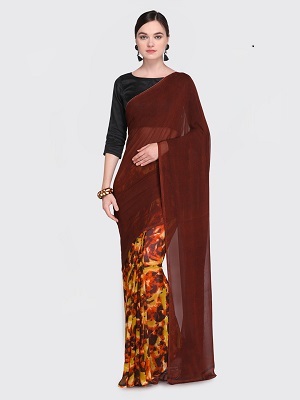 \ Slay with your looks with this yellow and brown colored saree. This fashionable yet subtle look will surely make heads turn. Price: Rs 489. Buy it here. Family function coming up? Well, you’ve got the perfect outfit right here for it! Whether it’s a puja or a sit-down dinner, this undeniably desi sari has you covered for all occasions. Price: Rs 899. Buy it here. Never thought you could rock your florals this fashionably in a sari, did you? 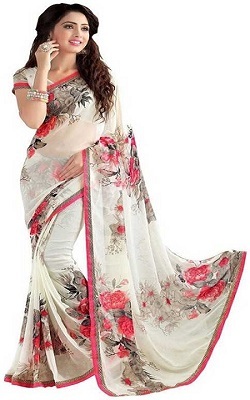 We love how we could flaunt the floral pallu in this one! Price: Rs 407. Buy it here. If you are a bollywood fan then you must have seen bollywood heroines looking glamorous in these sarees. 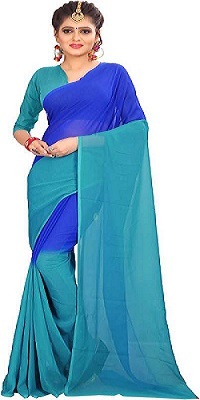 Plus if you have spent hours in gym then this saree will give you ample opportunity to flaunt your body shape. Price: Rs 199. Buy it here. 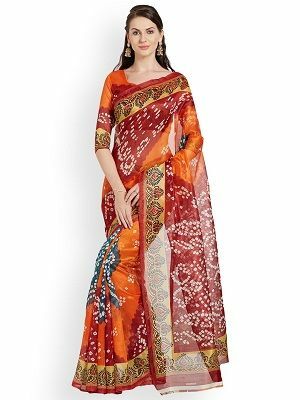 If you are loooking for a saree to look all elegant and sophisticated in a formal gathering or function then this on eis the right vhoive for you. Price: Rs 900. Buy it here. 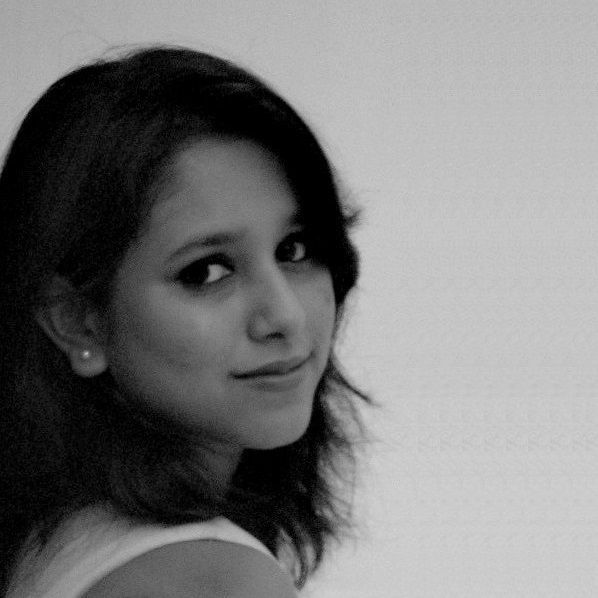 Love jaipuri prints? Well, there you go! This jaipuri printed saree with such a good combo of colours gives the desi vibes. Price: Rs 511. Buy it here. 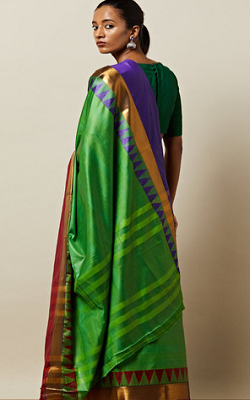 When different colours come together to flirt in a silk saree, something special is bound to happen. 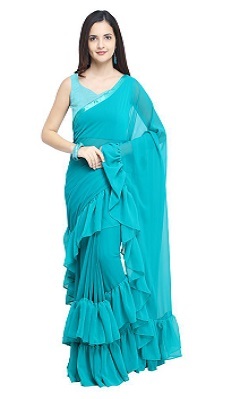 Here, is a saree to be worn in special occasions. Price: Rs 426. Buy it here. Silk and black have one thing in common. Different trends may come and go but these two remain evergreen. Price: Rs 414. Buy it here. Now tell us honestly...aren’t you dying to get your hands on these? Just go buy and start draping already!